The Commonwealth has signed an interim contract will BAE Systems Australia ahead of agreeing the Head Contact for the country’s new Hunter class frigate program. The Advanced Work Arrangement (AWA) will cover ongoing work on the $35 billion program, allowing BAE Systems to continue to mobilise its workforce and progress the critical work required to ensure the project remains on track to start production in 2020. In announcing the interim contract, Defence Industry Minister Christopher Pyne said the AWA marked an important first step in the process of transitioning ASC Shipbuilding into BAE Systems in preparation for the nation’s biggest shipbuilding program. “The process of transitioning ASC Shipbuilding into BAE Systems is well underway, and ASC Shipbuilding, BAE Systems and the Department of Finance are making good progress in negotiations,” the Minister added. 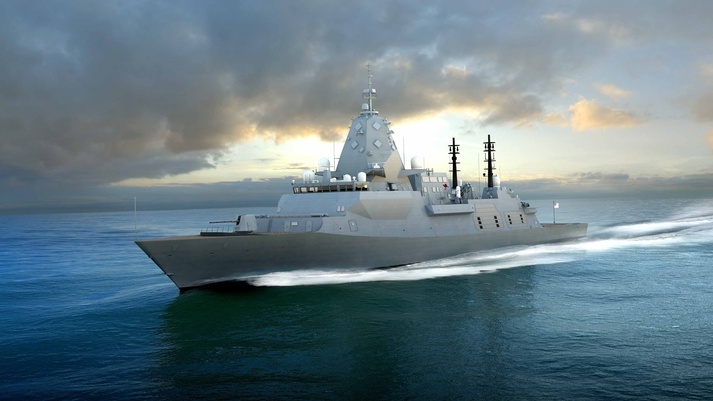 BAE Systems’ Managing Director for the Hunter Class Frigate Program, Nigel Stewart described the AWA as ‘an important and early milestone’ in the development of an enduring world-class naval shipbuilding industry in Australia. “The AWA demonstrates a commitment by both BAE Systems and the Australian Government to ensure timely progress on this critical defence program,” he concluded. Defence said in a statement that work continues on negotiating the Head Contract for the program, with signature expected later in the year, after the ASC Shipbuilding transition is completed. “Defence will execute the Head Contract with ASC Shipbuilding – as a wholly owned subsidiary of BAE Systems – for the delivery of the Navy’s nine Hunter class frigates and associated support system components,” reads the statement.